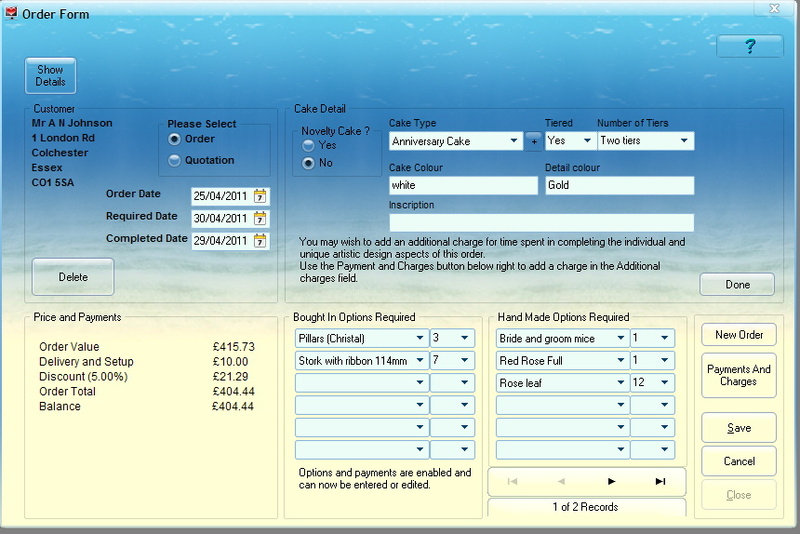 The Cake detail screen is designed to assist you in selecting the cake type, shape etc. Select the cake type from the top list box, depending on your selection various other lists, buttons and edits will become available i.e. if you select Novelty cake the novelty list box will become available to enable you to select the novelty type. The wedding or any of the anniversary cake options will enable the tiers list where you can select the number of tiers in the cake, several other options will become available depending on the type of cake selected. You can also enter the colour options, inscription etc in their respective fields.